How Does an Ultrabook Differ from a Regular Laptop? In the latter half of 2011, the term Ultrabook was starting to be used by a number of companies for a set of new laptop computer systems. Then in CES 2012, Ultrabooks were one of the big product announcements with pretty much every major computer company offering up models to be released later in the year. But just what exactly is an Ultrabook? This article delves into this question in an attempt to help sort out the confusion buyers may have while searching for a laptop. First off, Ultrabook is not a brand or even a category of system. Technically, it is just a trademarked word by Intel that they are trying to use to define a certain set of features for a laptop computer. One might associate it to what they did in the past with Centrino but the definition this time is a bit more fluid in terms of the technical aspects. It is mainly a response to Apple's extremely thin and popular MacBook Air line of ultrathin laptops. Now, there are a few features that a laptop should employ in order to be an Ultrabook. The first is that it does need to be thin. Of course, the definition of thin is pretty lenient as it just means that it needs to be under 1-inch thick. By that definition, even the MacBook Pro's would to meet the criteria even though they are full-featured laptops. This is mostly just to try and promote portability against the growing trend of tablet computers. Of the technical features, there really are three that stand out. They are Intel Rapid Start, Intel Smart Response and Intel Smart Connect. As is evident here, they all are developed by Intel so an Ultrabook will obviously feature Intel base technologies in them. But what do each of these features do? The most prominent of the features is Rapid Start. This essentially is a mechanism whereby the laptop can return from a sleep or hibernate state to a fully functioning OS in roughly five seconds or less. It is achieved through a method of low power storage that can be quickly retrieved. The low power aspect of it is important as it allows the laptop to stay in this state for very long periods of time. Intel estimates this should be up to 30 days before the laptop would require a charge. The easiest way to achieve this is through solid state drives as the main storage device. They are extremely fast and draw very little power. Intel's Smart Response Technology is essentially another way to boost the performance of the Ultrabook over a standard laptop. In brief, this technology takes frequently used files and puts them on faster-responding media like a solid state drive. Now, if the primary storage is a solid state drive, this doesn't really add much of a benefit. Instead, this is a compromise that allows manufacturers to attach a small amount of solid-state storage with a traditional low-cost hard drive that provides much larger storage space. Now hybrid hard drives could theoretically do the same thing but since this is an Intel product definition, they don't. This is the primary reason a laptop like the Samsung Series 9 does not bear the Ultrabook name even though it shares much of the same capabilities. The last of the major technologies is Smart Connect Technology. This is specifically designed to address the capabilities of tablets. Essentially, tablets are never really turned off but put into a sleep mode. During this sleep state, the tablets will still use some functions to keep updated. So, while the display and interfaces are all off and the processor and networking run in a low power state so it can update your email, news feeds and social media. Smart Connect Technology does the same thing for an Ultrabook. The downside is that this feature is optional and not required. As a result, not all Ultrabooks will have it. There are other goals for the Ultrabooks that Intel has mentioned when talking about the systems. Ultrabooks should have long running times. The average laptop runs for under four hours on a charge. An ultrabook should achieve more than this but there is no specific requirement. It should be noted that they won't likely achieve the ten hours of usage that netbooks or tablets can achieve. 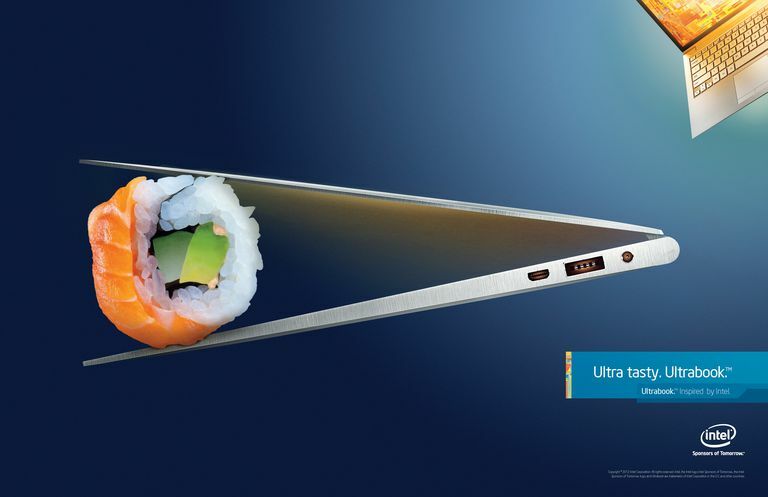 Performance is also a key function of Ultrabooks. While they won't be powerhouses like desktop replacements that try to match desktops, they will use standard laptop equivalent parts but in lower power versions. In addition, the high-speed storage from solid-state drives or the smart response technology, it gives a much faster feel. Then again, most people don't require a large amount of performance in their PCs now. Finally, Intel was very keen on trying to keep Ultrabooks affordable. The goal was that the systems should be priced under $1000. Unfortunately, many of the earliest models released in 2011 did not achieve this goal. Also, it was typically only the base that would reach this price point. Why is this disappointing? Well, the MacBook Air 11-inch which is the primary push for this category of system is priced at $1000 making it difficult for many other PC companies to compete. Later generations of ultrabooks did become much more affordable but the category is not taking off as Intel and manufacturers had hoped. So, is the Ultrabook a radical new category of laptop? No, it really is just an advancement of the already growing ultraportable segment of computers. It is going to advance a new wave of thin and light systems that offer a solid level of performance but they are also on the more premium end of the price spectrum for most consumers. It is clearly a goal to try and push consumers more towards laptops and away from tablets. Even Intel has backed off on the marketing of the Ultrabooks in favor of their new 2-in-1 label that really defines convertible laptops.